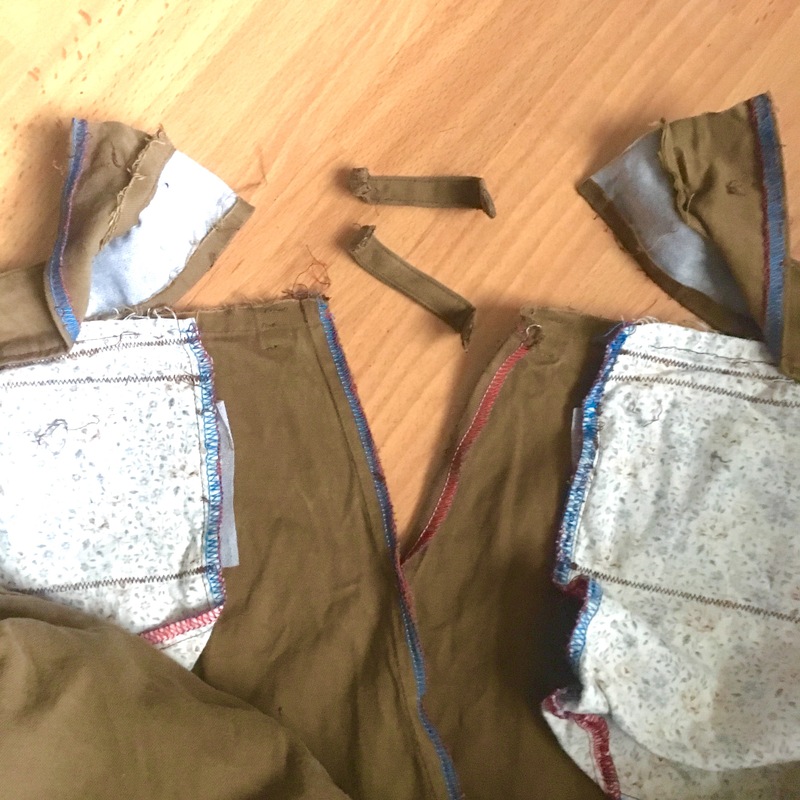 What I thought was going to be a complete nightmare of an alteration turned out to be a cinch (… pun intended!). I always maintain that I hate unpicking. This isn’t strictly true. As the start of an alteration or refashioning job, I actually quite like it. 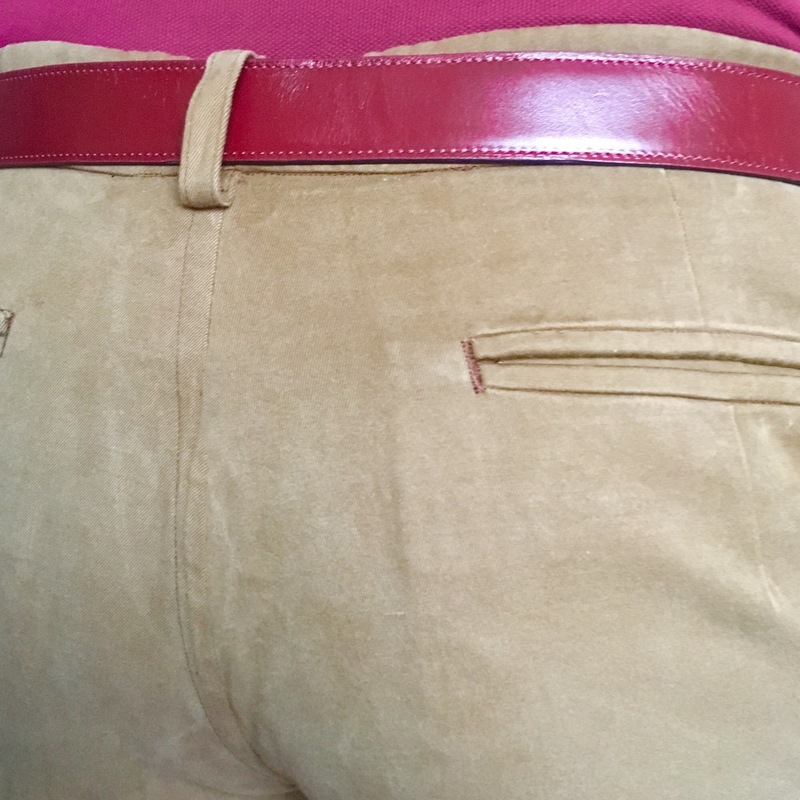 Just one beltloop made it back into the equation (to cover the new centre seam) and the waistband went back together really smoothly. They’ll need a wash and a good press to get the old stitch lines out, but the fit is great. From start to finish it didn’t take more than an hour and a half. 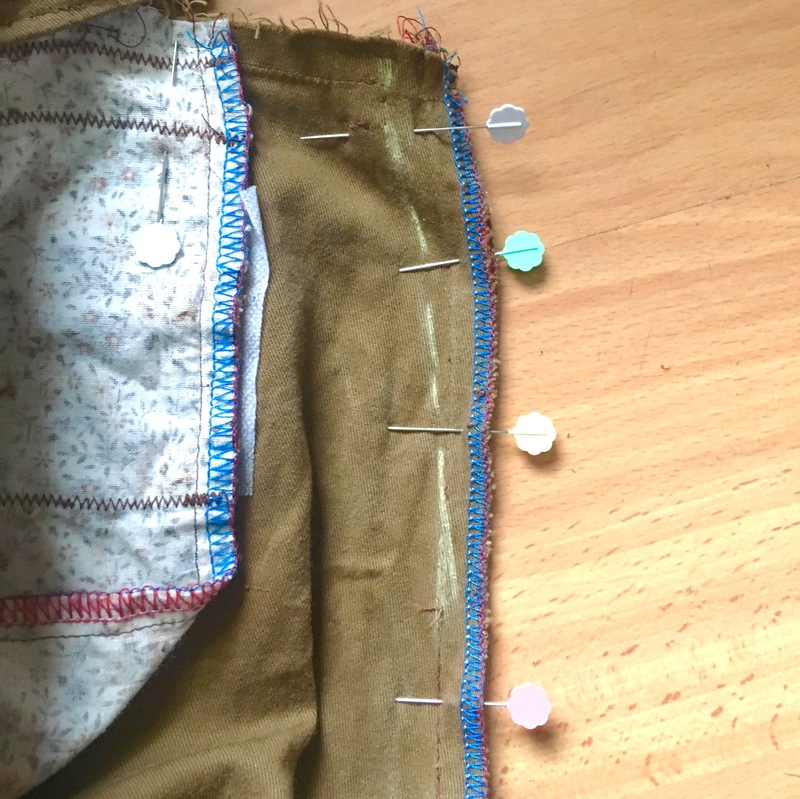 The issue of the low back rise has been resolved because the waist fits and they stay up, so the 3cm addition on the original pattern was right after all. 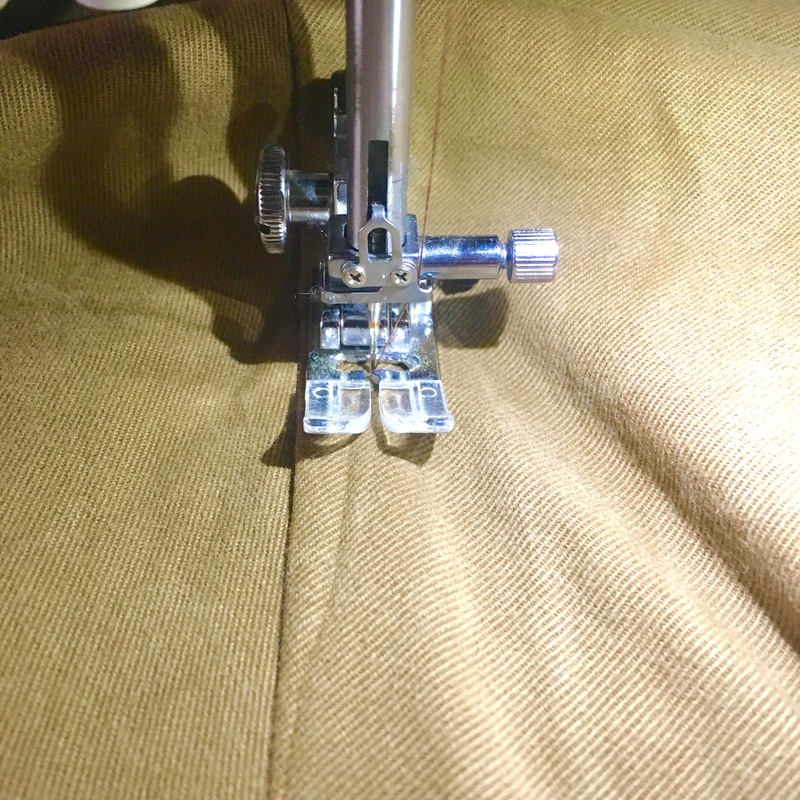 I took 2cm total from the waist, tapering into the seat seam. To finish off, I topstitched the hems. Previously I’d blind-hem-stitched them but the topstitching suits the casual fabric better, I think. 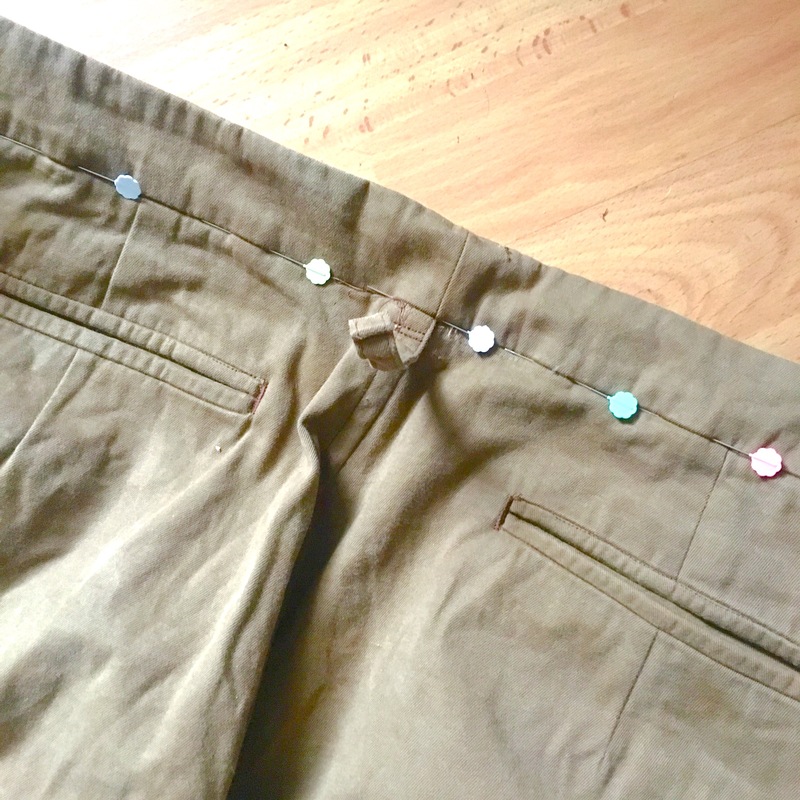 So now, with this simple adjustment, I’ve got my default trouser pattern for MrA. The fit is great and I’m confident in going ahead with plenty more pairs for him in the future. I’d tried a few trouser patterns out for MrA in the past. They’re all wearable but you can definitely tell the difference with a made to measure pattern. I think the MMP site is an amazing resource. I’m looking forward to trying out some more of the catalogue in the future. Job done. MrA’s happy and I feel like I’ve completed a module of an imaginary-open-university-sewing-course. Win, win. One thing I’d love to see Joost, please, if you’re reading this, is a pocket option for a jeans variation…? It’s never as tough as you think it’s going to be! Try the shirt. Try the shirt…! Next Next post: Wallet – The Gentleman’s Wardrobe. Joost is reading this 😉 Jeans are definitely​ on my to-do list. I hope to have them sometime later this year.